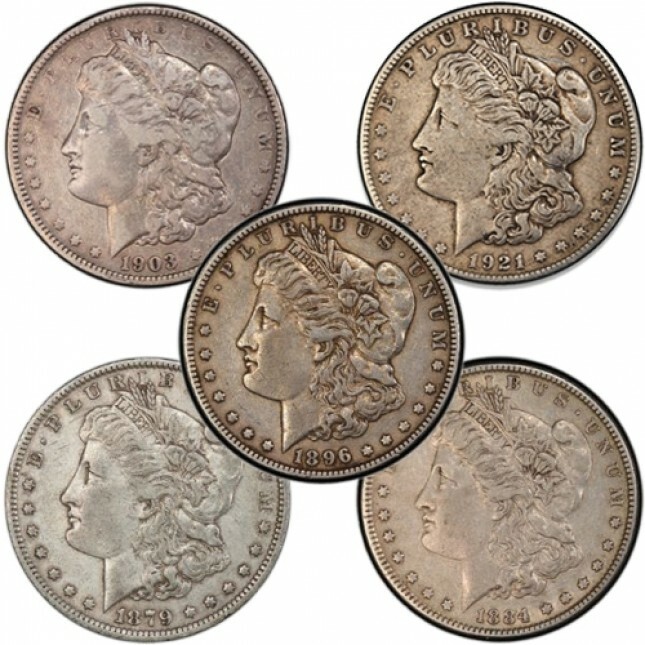 Morgan Silver Dollars have been some of the most popular collectibles ever produced. From 1878-1904 and then finally in 1921, Morgan Silver Dollars are a staple of any silver collector. Take advantage of special pricing on this unique set and start your own mini-collection today! Contains five (5) Morgan Silver Dollars. You will receive one coin (date of our choice) from each decade of production (1870s, 1880s, 1890s, 1900s, 1921). Coins are shipped in protective flips. Orders of four sets ship in sealed Silver Dollar tubes. Instant Collection @ Special Low Pricing!